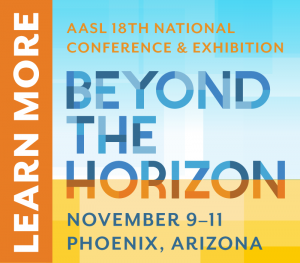 My favorite aspect of the AASL National Conference is the fact I can personalize the experience to meet my professional learning needs. 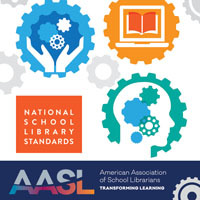 When I attended AASL National in Hartford in 2013, I was looking for new ideas to encourage my high school students to read more, so I chose to go to several concurrent sessions on reading promotions. My favorite session, presented by a team of librarians from a high school in suburban Chicago, was about a school-wide reading marathon. When I got back to my school, my colleagues and I tweaked the idea a bit to fit our school and created our own reading marathon, which has become an annual event. Four years later, I realize that one concurrent session alone was worth the trip to Hartford! 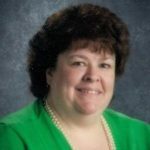 My goals for the 2017-18 school year include developing lessons on combating fake news, advocating for the library program at the district level, and learning about new technologies so I can offer students more choices to create products that show their learning. Guess what? This year’s concurrent sessions will help me achieve all of those goals! The conference schedule includes eight concurrent session time slots, each of which allows attendees to choose from approximately fifteen workshop offerings covering a variety of topics. 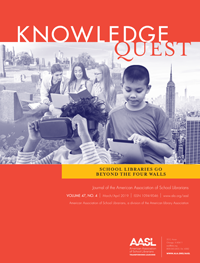 Those topics include collaboration, makerspaces, reading promotions, using primary sources, and inquiry learning as well as fake news, advocacy, and technology. Attendees can focus on one topic or mix and match to sample a little of everything. With more than 100 concurrent sessions, there’s something for everyone! An added bonus is that my personalized learning experience will also allow me to help others. When I return from Phoenix, I will have tons of great ideas to share. I will be able to approach individual teachers with suggestions for new projects, present what I’ve learned at a district librarian meeting, and possibly submit a workshop proposal for my state conference. The ideas I share may help my colleagues achieve their goals. 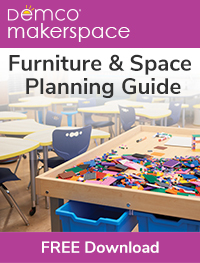 You don’t have to wait until November to start planning your concurrent session schedule. The list of sessions is currently available on the conference website, as is the conference scheduler. If you are still trying to convince your administrators to send you to the conference, show them the concurrent session offerings and tell them which ones you’d like to attend. Then, explain how attending those sessions will help you better align your library program with school and district goals. Be sure to mention that no other professional development event provides so many options! ‹ Let’s Talk Collection Development!